There is a beautiful and amazing island in the Andaman Sea called Langkawi. The tropical island with secluded beaches, where no one will bother you, and you’ll be able to spend some time alone with yourself lying on the clear white sand and listening to the sound of waves. Could this place be a paradise on earth? 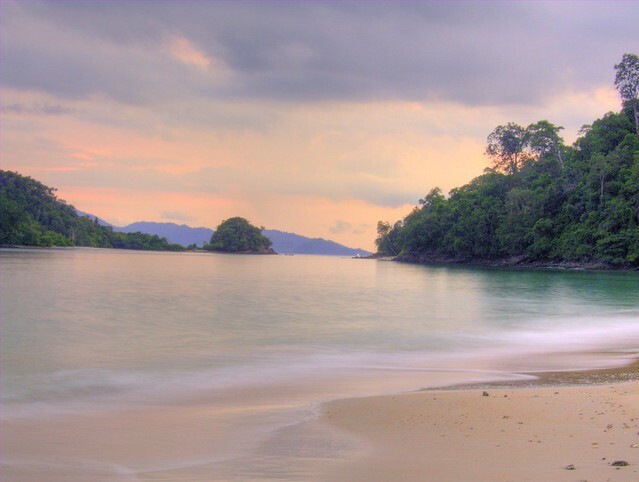 Langkawi is an eco-friendly area with sandy beaches, rich in minerals beneficial to health; it’s the island, where the green hills are covered with thick tropical forests almost untouched by human hands. Indeed, the nature of Langkawi is unique. Despite quite honorable age of the island (about 5 million years), nature here has been preserved in its original form. There is no other island in Southeast Asia that can boast of such wonderful landscapes! Even now geologists are amazed by unusual rock formations of the island with the mysterious caves with lots of stalactites and stalagmites. When you visit Langkawi for the first time, you’ll be fascinated by its magnificent sceneries, clear blue waters and rich fauna. Here you can see some very rare species of animals, but the main inhabitants of the island are usual monkeys, hornbills and bright butterflies. By the way, there is really large number of macaques, especially in the tourist areas. And it becomes not very clear whether it’s people who came to see macaques or vice versa. What Place in Langkawi Offers the Best Views? If you are looking for a place with some great views of the island, then you definitely should visit Langkawi Cable Car. It’s located in the southwestern part of the island of Langkawi in about 30-minute drive from Kuah and 15-minute from the airport. 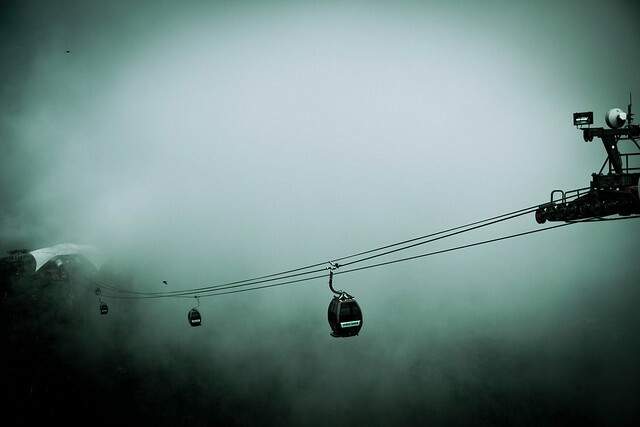 It’s interesting to know that Cable Car is listed in the Malaysia Book of Records as the longest cableway with the length of 919.5 meters. It can take you up to 708 meters above the sea level. It is also the only way to get on the Sky Bridge. Without doubt you already have heard about that bridge. This grandiose construction connects two peaks of Gunung Raya – the highest mountain of the island. The bridge is designed as a long observation desk over the deep gorge. It has a slightly bent form, so visitors can fully enjoy spectacular views. Since this attraction is quite popular among tourists, the queue at the main landing point located in the Oriental Village might be long. But it’s still worth visiting due to the breathtaking views of the whole island you won’t be able to see from any other place. 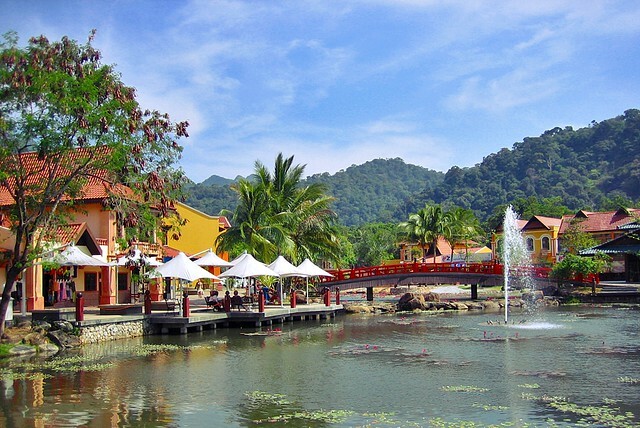 Langkawi has equatorial climate, so there is always sunny and hot weather. The average temperatures here are 30 °C of air and 29°C of water. So in theory you can rest on the beaches of Langkawi whenever you want, but still it’s recommended to visit island during December- June, since the period from August till September is considered the rainy season. But even if you happen to visit the island in rainy season, don’t be upset. As you’ll see the weather during this period is quite unpredictable. It might happen there won’t rain for days. Anyway, rainfalls in Langkawi are mostly warm and brief. Langkawi is a paradise for tourists preferring relaxing and peaceful vacation in comfortable surroundings outside the city. Only ten years ago, Langkawi was inhabited mainly by fishermen and peasants. 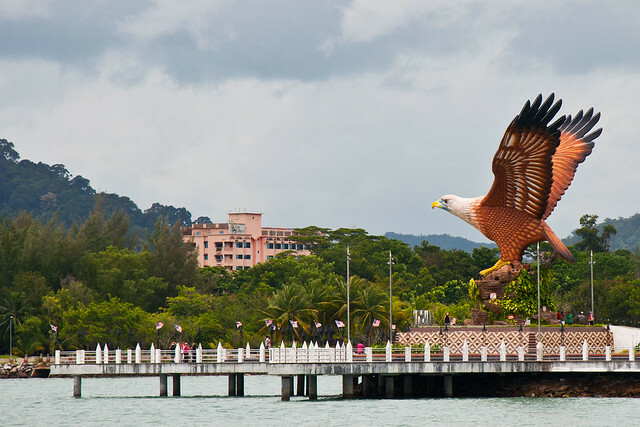 But nowadays, Langkawi has become a world’s leading luxury resort. From about thirty hotels located in the island, seventeen has five starts! In addition, you can buy almost everything in the numerous duty-free stores located mainly in Kuah, the capital of the island. Another great advantage of Langkawi is a complete absence of drunken people. The main reason is that all locals are Muslims. So, even tourist not always can find a shop selling alcohol. In general, Langkawi is well prepared to meet tourists. Here you’ll find all kinds of entertainment, different excursions tours around the whole archipelago and of course great shopping opportunities. Don’t you believe that such small island have nice places for shopping? Check out the list below! Langkawi Fair Shopping Mall. It’s the oldest mall in Kuah with about 100 stores offering clients all kind of goods including sweets, perfumes, clothing, jewelry, sporting goods and many other things. It also houses several restaurants and fast-food cafes. There is even McDonald’s! Jetty Point Shopping Complex is another great mall located in Kuah. It’s a modern two-storey building and the most profitable place for purchasing jewelry, watches, chocolates, souvenirs, sunglasses, shoes and electronic goods. Oriental Village is famous not only due to the Cable Car station located nearby. The Village is also a popular outdoor shopping mall with lovely retail stores, small picturesque buildings and bridges, playground for kids and animal garden. In addition, here are many companies offering jungle hiking tours. Tourists who like more extreme activities can rent ATV or sport bike, including quite popular Suzuki Hayabusa. Maybe the only disadvantage of Langkawi is the absence of public transportation system. So you’ll need to choose whether to take a taxi or to rent a car. If you aren’t going to travel through the island very often, then taxi would be good for you, although it’s relatively expensive. If you want to discover all the beautiful secret places of Langkawi, you’ll need your own car. Great range of affordable vehicles for different purposes is available for booking here:http://malaysia.rentalcars24h.com/langkawi-airport. Don’t miss your chance to significantly economize on car rental using online car rental booking systems.